Kitchen boasting granite counters and tiled backsplash. 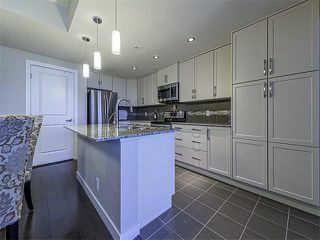 Loads of cabinets in kitchen. 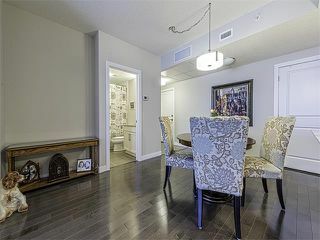 Kitchen overlooking breakfast nook/dining room. Living room with solarium having floor to ceiling windows allowing for loads of natural light. 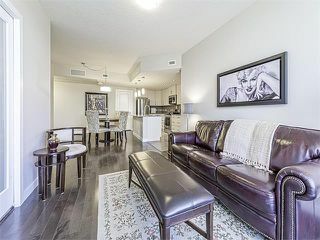 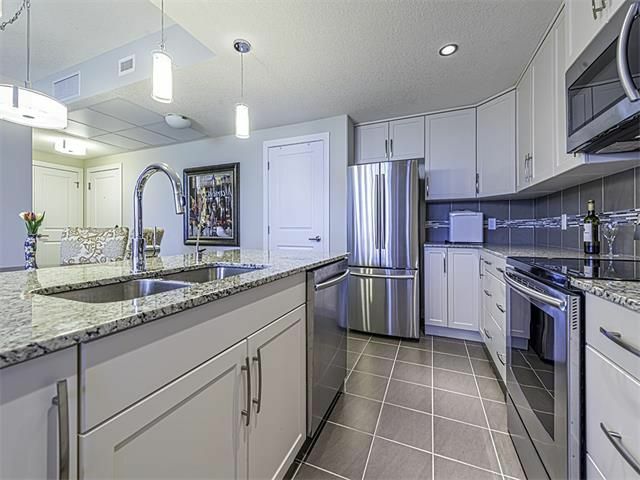 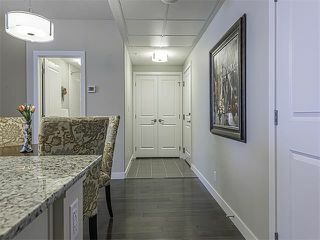 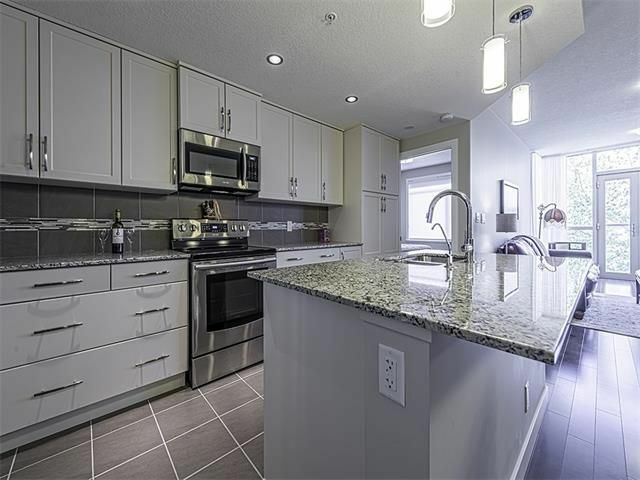 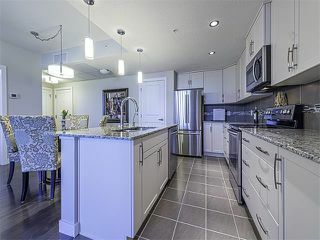 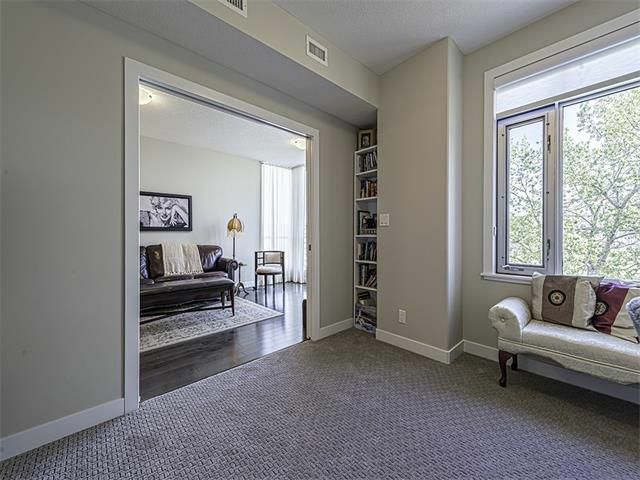 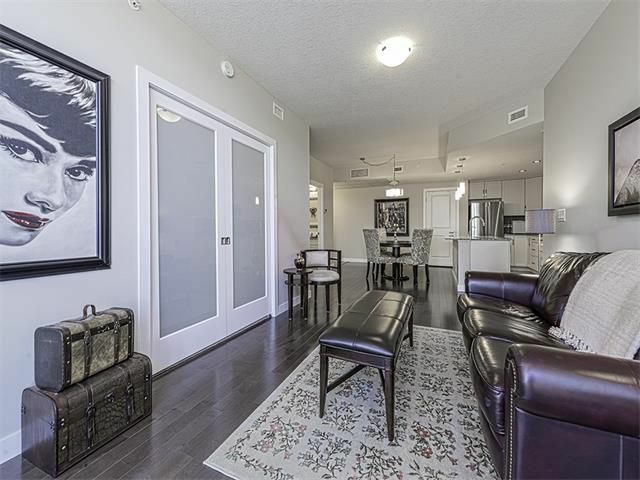 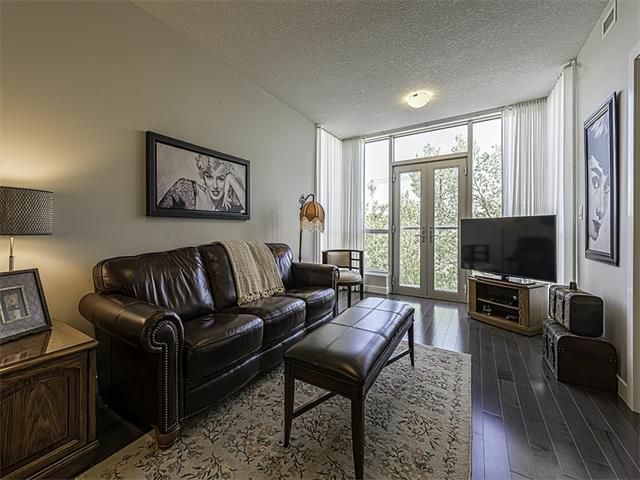 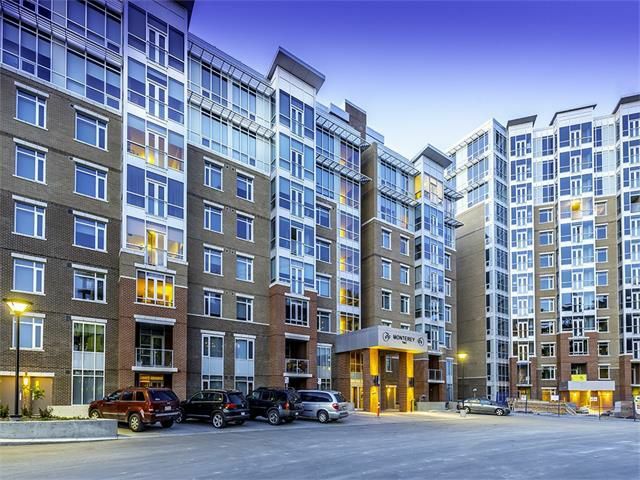 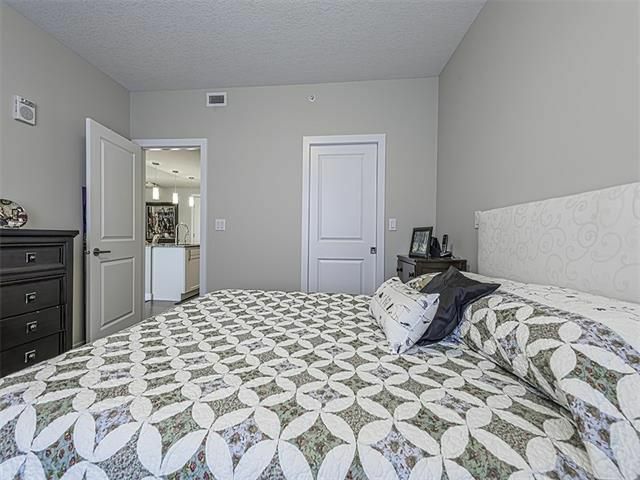 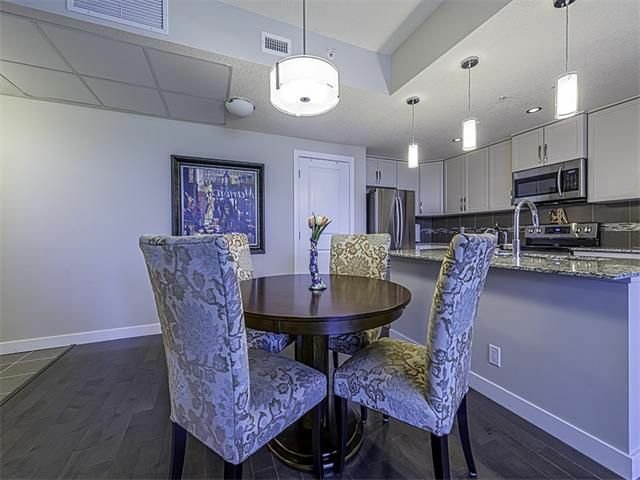 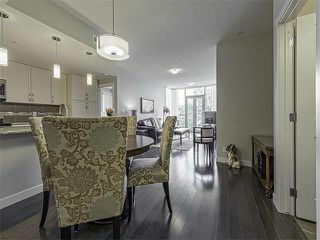 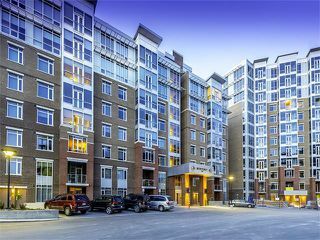 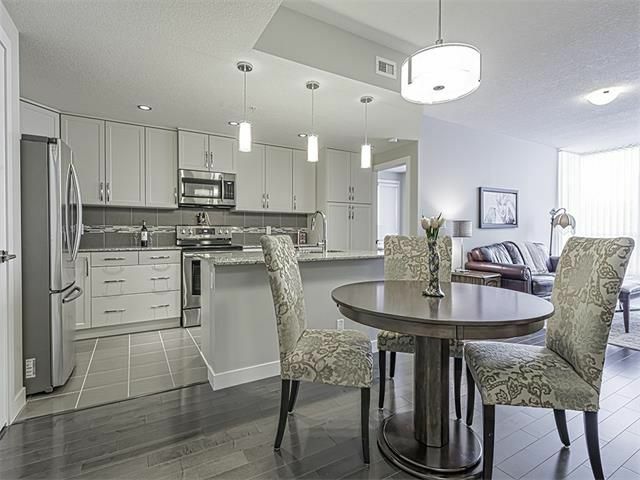 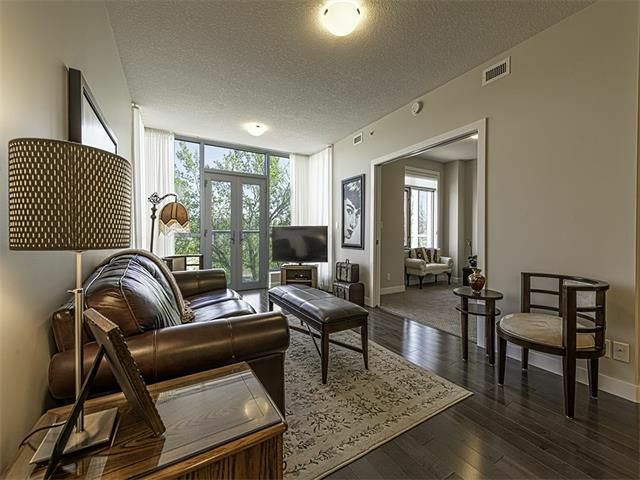 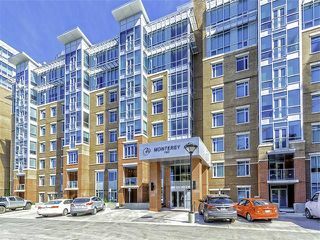 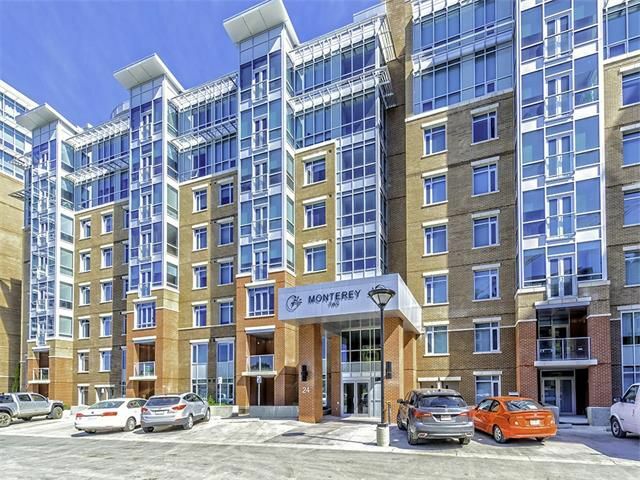 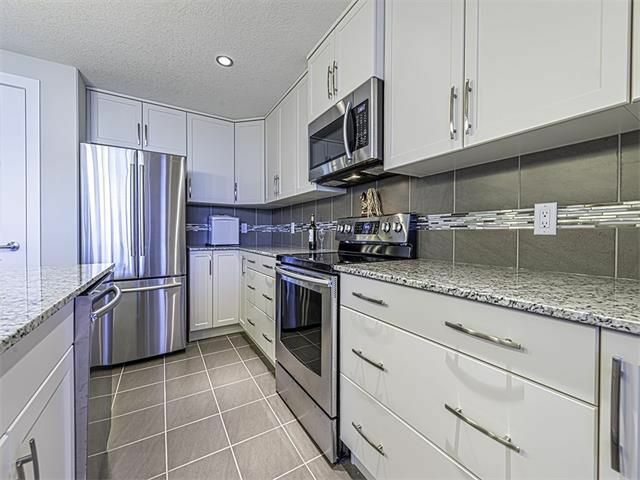 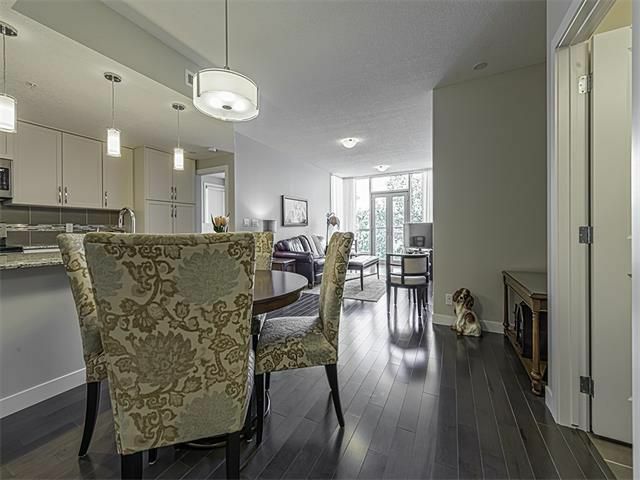 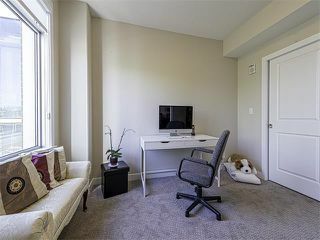 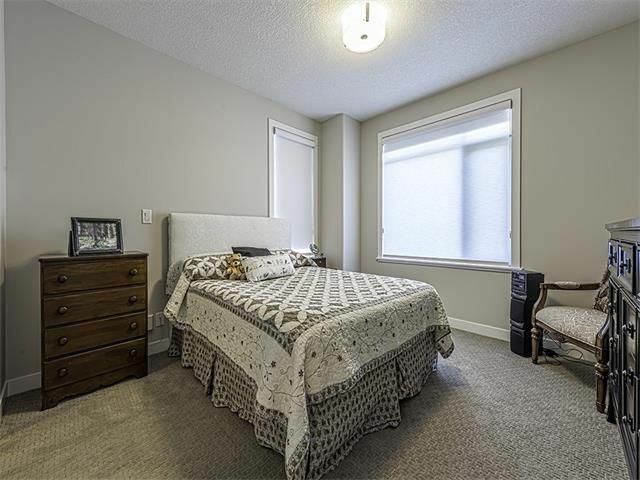 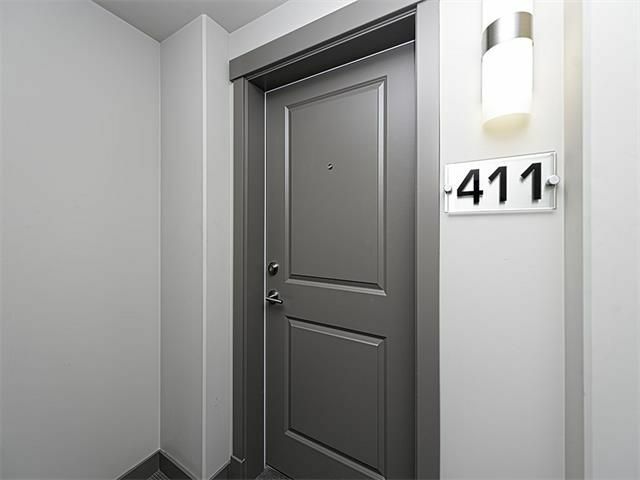 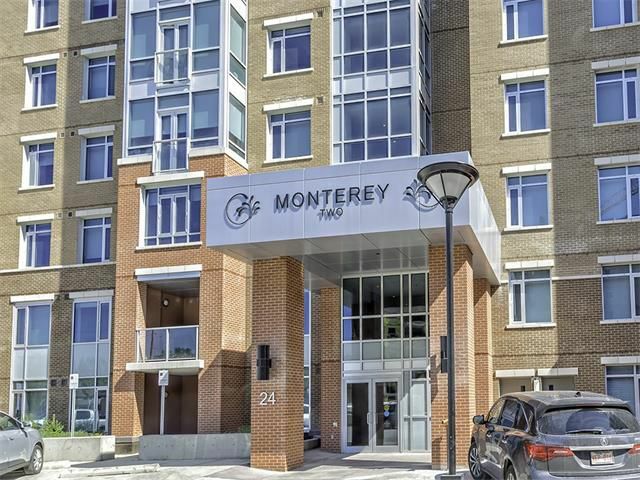 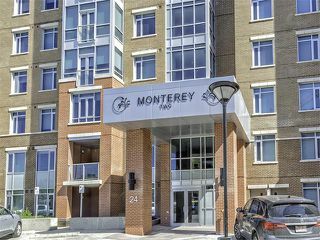 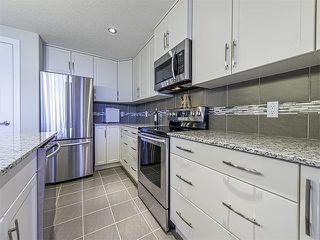 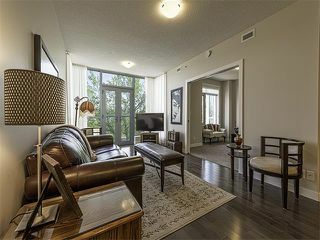 Bright spacious unit with gleaming hardwood floors throughout. 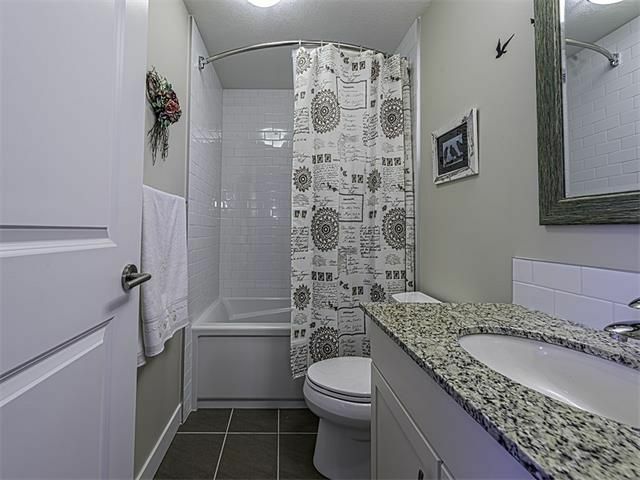 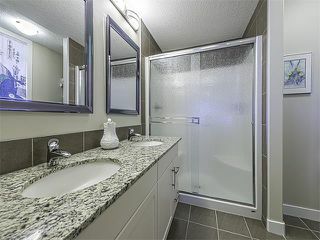 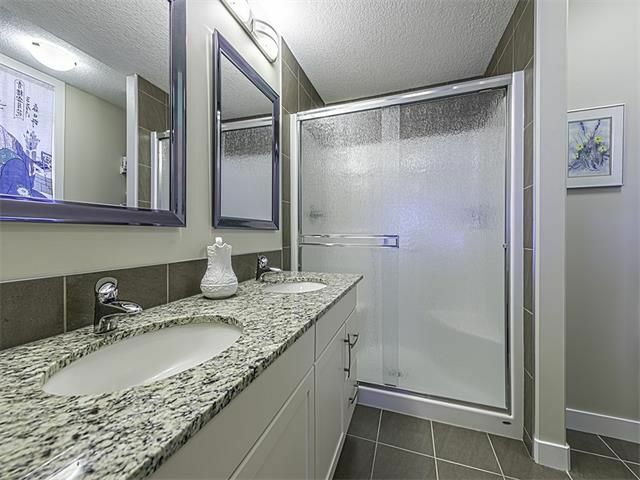 Ensuite bathroom with duel sinks, granite counters, walk-in shower and tile floors. Main four-piece bathroom with granite counters and tile floors. 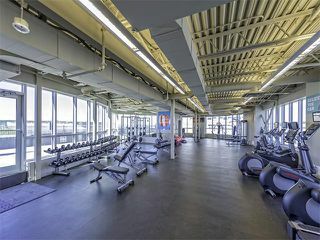 Private heath and exercise club. 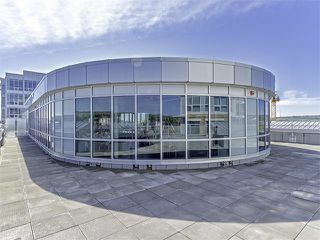 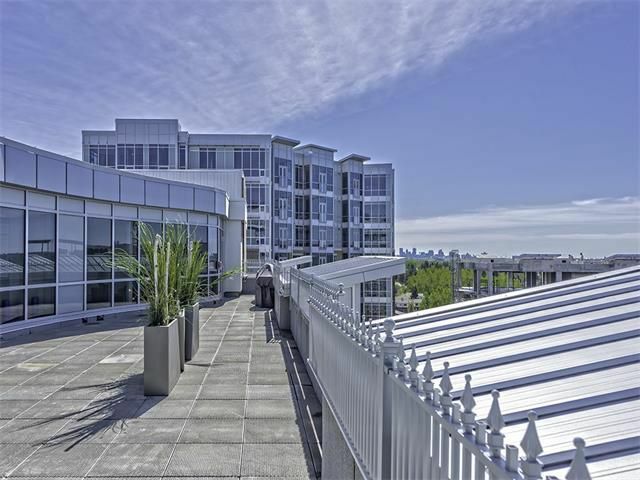 Rooftop terrace with views of downtown Calgary. 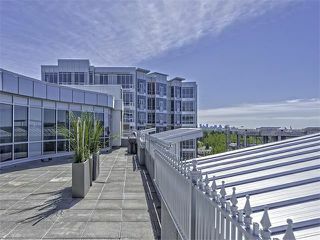 Views west to the mountains from the rooftop terrace. 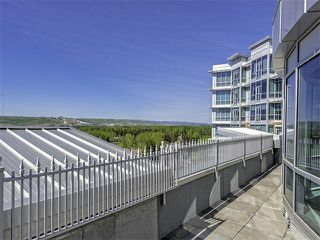 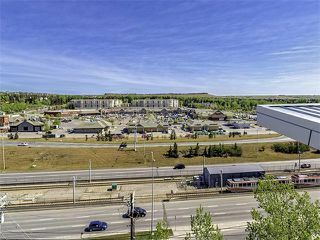 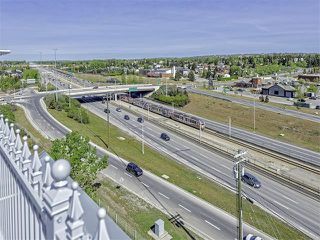 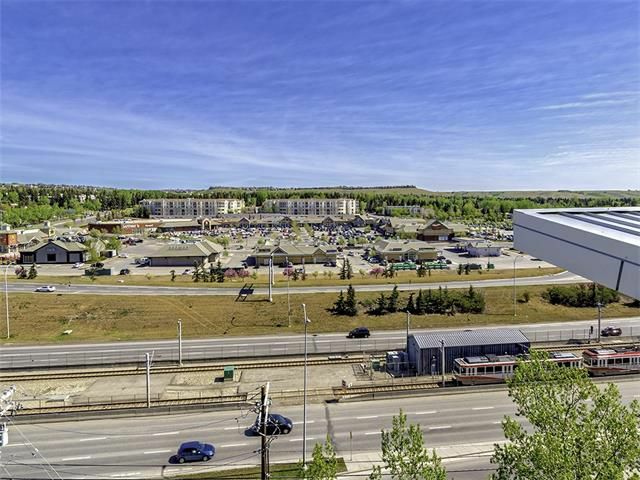 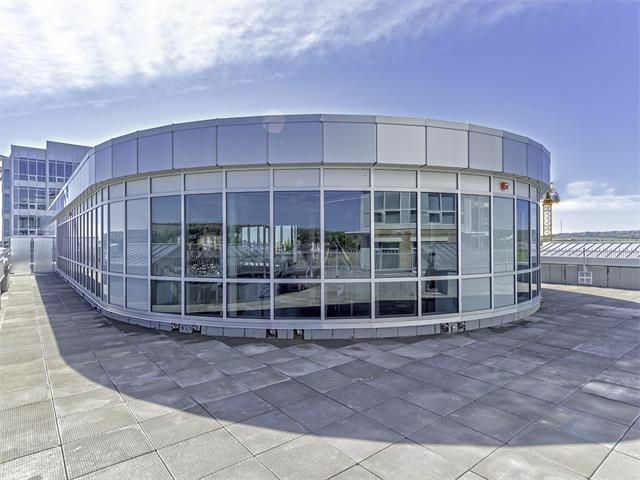 Ultra-convenient location steps from shopping, restaurants & transit (LRT) - view from rooftop terrace. 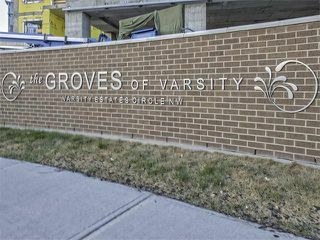 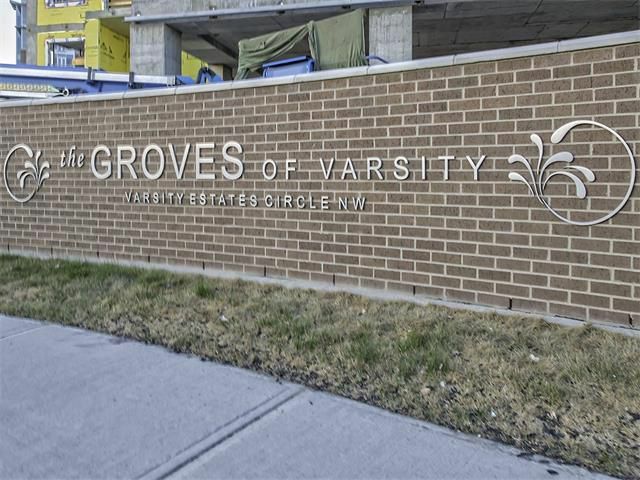 The Groves of Varsity built by Statesman.